The Tuscan designs painted on dishes and canvases are reflections of the real countryside in central Italy just north of Rome. Olive groves, tall cypress bushes and rolling hills and valleys create a distinctive and recognizable landscape. The wines of Tuscany are equally distinctive, with Chianti, Montepulciano, Morellino and Supertuscans becoming household names in the U.S. The history of Tuscan wines goes back much much further, however. As early as the year 1079, there were wine retailers in the banking city of Florence, and in 1282 those retailers formed a guild. Giovanni di Piero Antinori joined this guild in 1385, and his family is still producing wine in Tuscany today. Badia a Coltibuono was producing wine at the same time and still does today. There are many, many stories of families in Tuscan with centuries of winegrowing experience to call their own. We can consider this another of the many benefits the world has seen from the existence of the Roman Empire, which centered wealth, society and knowledge enough to create a winemaking industry so early in history. Sangiovese (San-jee-o-vay-say) is the grape of choice in Tuscany, creating not only all wines known as “Chianti” but also Brunello di Montalcino, another big red and world-class wine. New “Super-Tuscan” wines are being blended by combining Sangiovese with Cabernet Sauvignon to produce a bigger end result. The success of such Supertuscans, such as Antinori’s Tignanello and arguably the finest of Tuscany’s wines, Tenuta San Guido’s Sassicaia (sauce-i-kai-ya) has brought back a worldwide reputation that had been lost in the 50’s and 60’s because of poor economic relationships between harvesters and vineyard owners. Chianti, though, is still the defining wine of Tuscany. 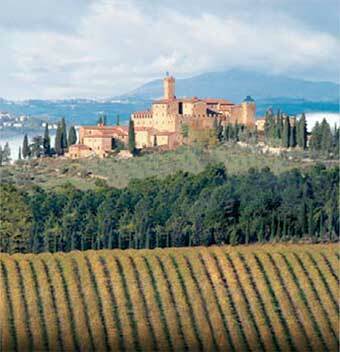 It comes from the Chianti region, as well as the historical Chianti Classico region defined at the center of Chianti.. Defined in 1932, Chianti’s subregions now include Chianti Rufina, Colli Senesi, and others. 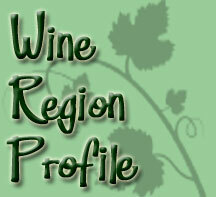 Most of the wines produced are meant for drinking young and without much fanfare. 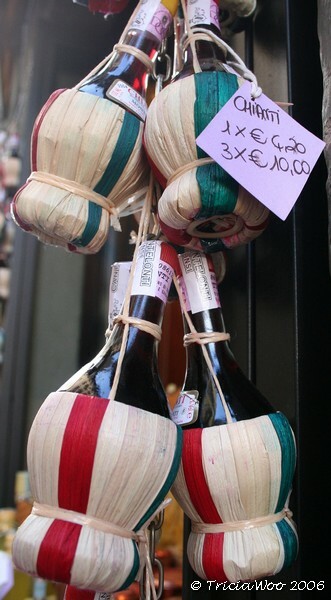 To find the best offerings, the recognizable black rooster seal printed on a band around the neck of the bottle identifies a Chianti Classico. “Riserva” wines from this area will be the best of these offerings. There are other discoveries to be found in the wines of Tuscany, Vernaccia (ver-notch-ee-a) and Malvasia are the most notable white wines, and Merlot is being grown as a partner for blending with Sangiovese. Vin Santo, a raisiny dessert wine, is a great discovery if you can find a quality offering. This video shows how the grapes are dried prior to being pressed, resulting in a magical after-dinner drink.